Today I am hitting the ring road [that circles Iceland] to distribute my books to retailers. We’ll be stopping in Höfn, Seyðisfjörður [two nights], somewhere near Húsavík [no accommodation booked yet so it looks like we’re winging it], two nights in Akureyri, and two nights at Kolkuós in Skagafjörður. 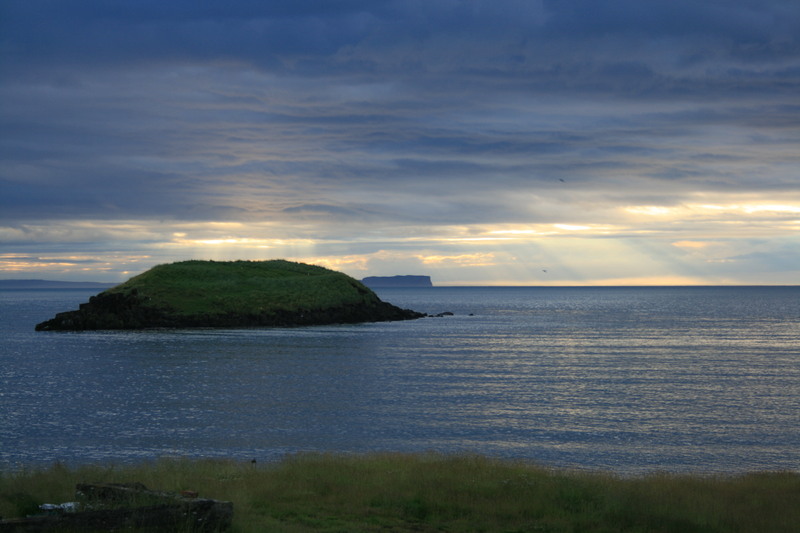 Here’s a picture from magical Kolkuós – we stayed there last last year. In the background is the historic island of Drangey – such a stunner. This means that posting on this site will be light over the next couple of weeks, though I will be posting regular updates to Facebook, Twitter and Instagram. Also! You might want to amuse yourself by listening to the mellifluous voice of Yours Truly as recorded on the delightful Radio Iceland recently.